Following the success of the Catherine Cheater Schemes of Work for French, the Schemes of Work for Spanish make use of the same entertaining and challenging methodology. 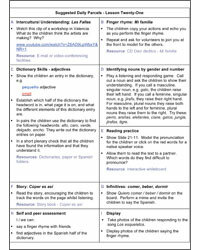 The Catherine Cheater Scheme of Work for Spanish (Year 4) scheme of work has been developed for use with children in Year 4 who are in their second year of learning Spanish. Year 4 pupils are 8 - 9 years old. If starting this scheme with older beginners, it is still recommended to start with the Year 3 file, however you may find that progress is made more quickly. Full teaching notes are provided and this is a suitable resource for a non-specialist teacher. This product, including the contents of the CD-Rom, is licensed for photocopying / reproduction for educational purposes by the purchasing institution only. 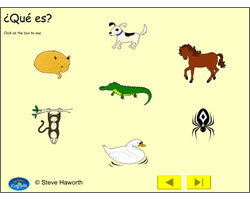 Click on the images below to download sample resources from The Catherine Cheater Scheme of Work for Spanish - Year 4.